The New Zealand Safer Boating Forum is a formal network representing a cross-section of national and regional government agencies, local body groups, organisations and the marine industry, involved in promoting recreational boating safety in New Zealand. 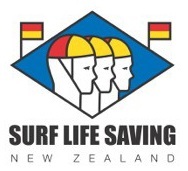 Water Safety New Zealand is an active contributor. The purpose of the forum is for the sector to work together to develop and implement a common safety recreational boating strategy for New Zealand and to support agreed boating safety policy, communications, education, compliance and regulation. Maritime New Zealand (MNZ) leads the forum and works with forum members to coordinate safe boating activities. Original generation time 1.8594 seconds. Cache Loaded in: 0.0009 seconds.